Akshay Kumar and Parineeti Chopra starrer flick Kesari hit the silver screens on March 21, 2019. While it has been just a day post release, the film has already leaked online and is available on some of the illegal sites. With the latest news, Kesari has become the latest victim of online piracy. 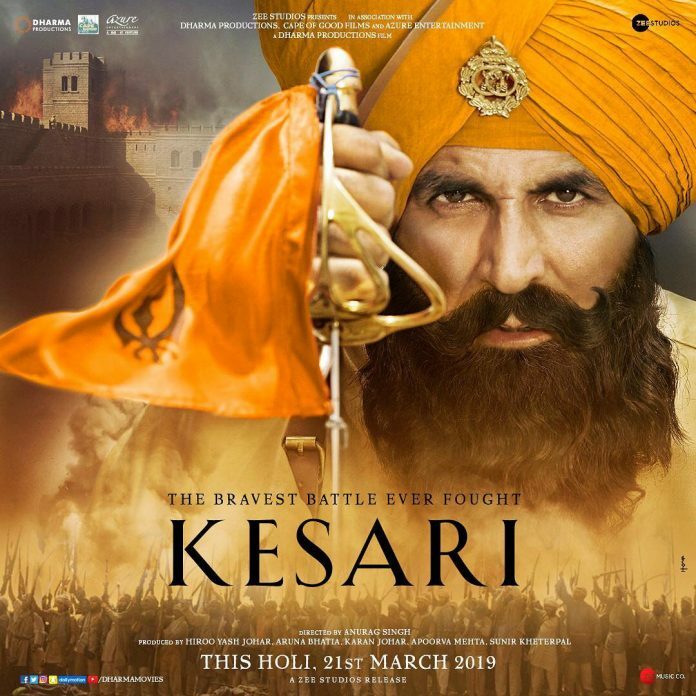 Kesari is a film that is based on the infamous Battle of Saragarhi in which about 21 Sikh soldiers of the British Army had fought against the 10,000 Afghan tribal warriors. However, this is not the first time the film has been leaked online as the films like Simmba, Total Dhamaal and Manikaarnika – The Queen of Jhansi have earlier also become the victims of piracy. On the other hand the industry is trying its best to stop online piracy but it seems like so far nothing has worked in favour of them. Despite the online leak, the film Kesari has proved to be a blockbuster and has received a great opening on its first day and is expected to grow in the upcoming weekend. Kesari is helmed by Anurag Singh and has Akshay Kumar and Parineeti Chopra in the lead roles. The film also stars Jaspreet Singh Vivek Saini and Vikram Kochhar.